Hazy, milky skies and African Dust in the air in Houston, Texas late Saturday morning. The Texas Commission on Environmental Quality forecast based on the EPA Air Quality Index is “moderate” as the dust spreads into parts of Austin, Beaumont, Port Arthur, Brownsville, Mac Allen, Corpus Christi, Lubbock, Dallas, Fort Worth, Houston, Laredo, San Antonio, Tyler, Longview, Victoria and Waco-Killeen, Texas. If you are sensitive to particles and pollen in the air or have respiratory problems, stay indoors. Click on link below for the air quality in your area. 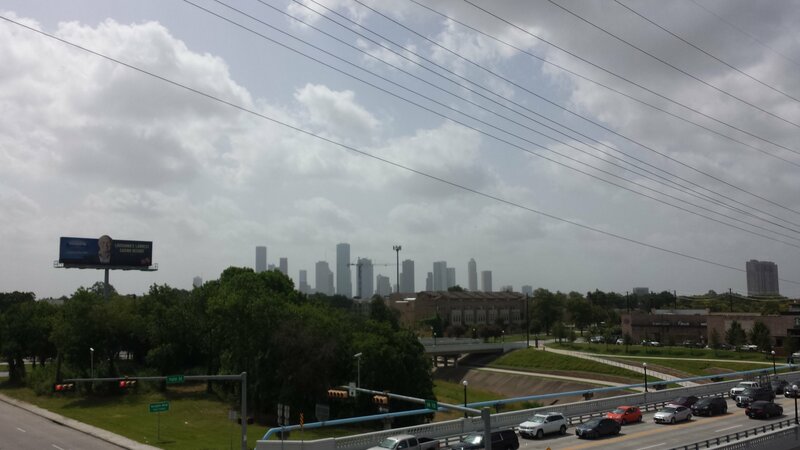 This entry was posted in Asian Community Houston, Community Alert, Environment, Harris County News, Houston News, Houston Weather and tagged African Dust in Houston Air. Bookmark the permalink.